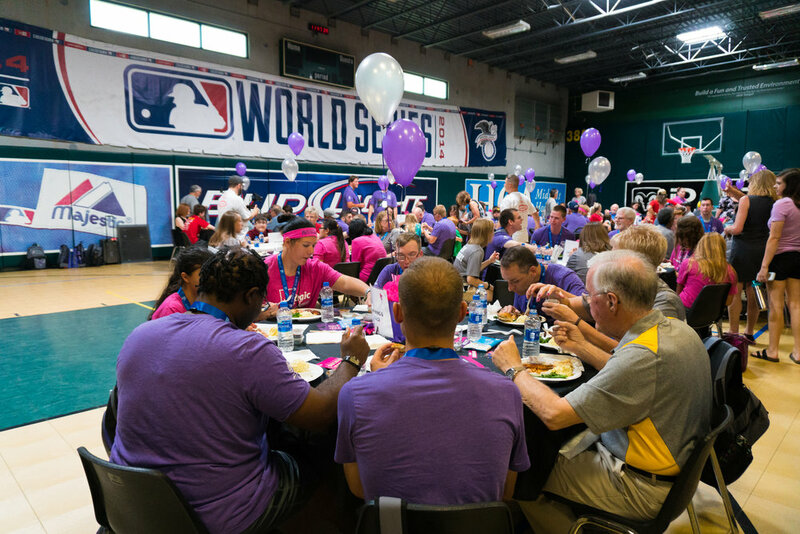 Pro Athlete Hosts Send-Off for Area Olympians | Pro Athlete, Inc. Since the beginning, we have made a commitment to our business, employees and customers to get involved and become active in our community. We are very fortunate to have the opportunity to embrace stewardship and give back to several meaningful organizations within the Kansas City area. However, over the last few years, we have turned our focus more towards the importance of donating time and getting involved in addition to donating funds to organizations. Just last week, we were able to give back without leaving our facility. 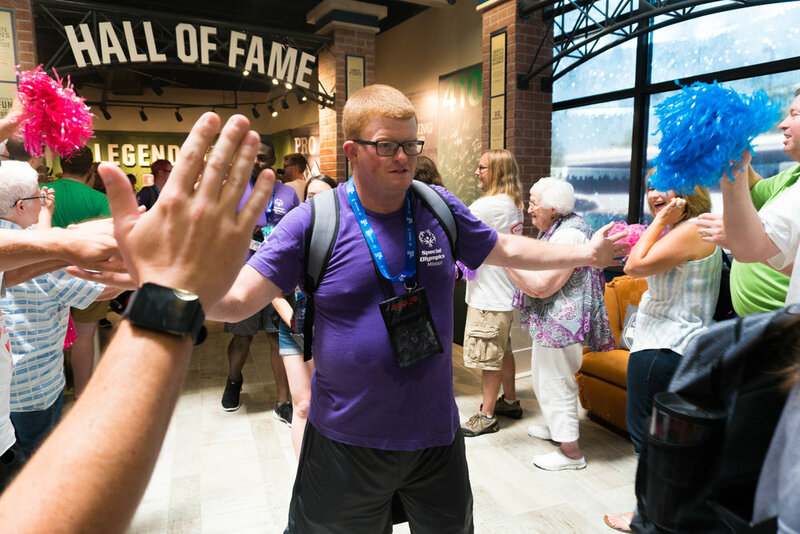 Last Friday, Special Olympics Team Missouri, along with their families and coaches, stopped by our facility for one final send-off party before heading to compete in the 2018 Special Olympics USA Games. When the athletes first arrived, we welcomed them into our facility with open arms and lead them to our fulfillment center where they repacked their bags in uniformed team luggage. Once all of the bags were packed, all of the athletes, coaches and their guests made their way to the Sport Court where they were officially welcomed by Steven St. John from 810 Sports Radio and former Missouri Tiger and Kansas City Chief, Martin Rucker. After the short presentation, and a barbecue lunch prepared by our very own Chef Nathan, the athletes made their way to three different sections of our building and rotated between stations. The three stations consisted of free services and activities such as manicures, massages, batting practice and pop-a-shot. 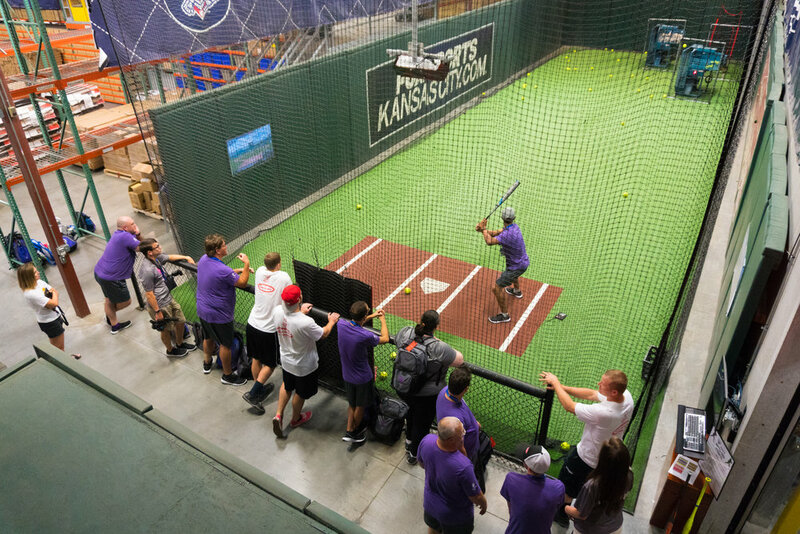 Each athlete from Team Missouri even left their signature on our 410 Center Field wallpad alongside other Kansas City athletes like Travis Kelce, George Brett, and Matt Besler. To their surprise, as one final celebration, all of our employees took a moment to step away from their desks to create a spirit tunnel that led throughout our facility. Each athlete was high fived and wished well before climbing onto the bus and beginning their journey to the US Special Olympics. Officers from the Kansas City Missouri Police Department escorted Team MO to the KCI airport where they caught a flight to Seattle, Washington where this year’s games are held. For the last week, the same athletes that were walking around our facility have been competing in their specific sport in hopes of bringing back gold to Missouri! Follow their journey and success live from Seattle here. Older PostPro Athlete Named 7x Corporate Challenge Champion!